I’m perched on an angular boulder at the base of a scree slope, binoculars raised, scanning the cliffs above for a peregrine nest. My shoulders are tensed uncomfortably and there’s a crick in my neck. The air is full of gannets and the cries of gulls. I was just thinking that a deck chair would give me the optimum angle for this kind of work, when the female peregrine launches from the cliff-face into the clouds of soaring gannets beating short sharp wings and calling furiously. Round and round she flies until she nearly alights on the cliff, wheels round once more and settles on the highest tip of rock to survey us suspiciously. 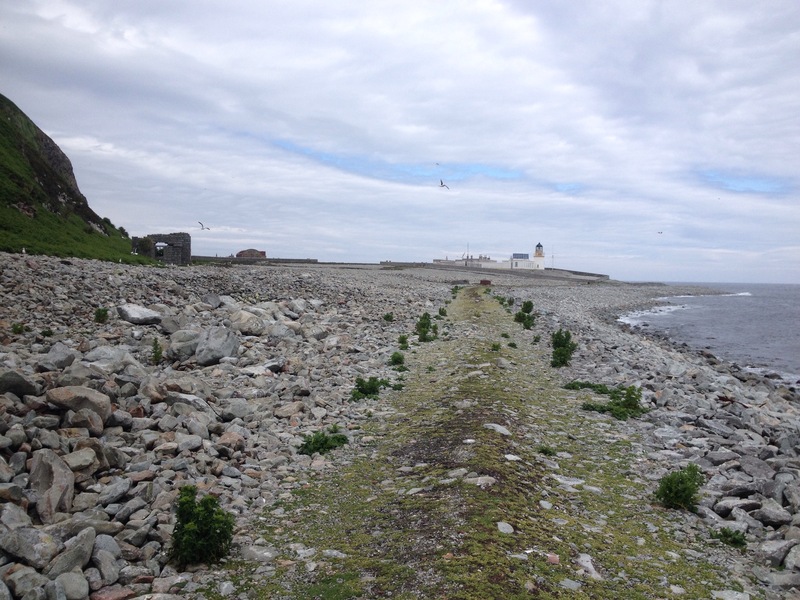 The clouds surrounding the steep summit mean we cant climb the rock to survey the colony of gulls at the peak and so, this morning, we have walked along the shoreline – past gull chicks, heads thrust into clumps of ragwort or under rocks, furry bottoms peaking out, and piles of boulders containing hissing, snake-headed young shags. 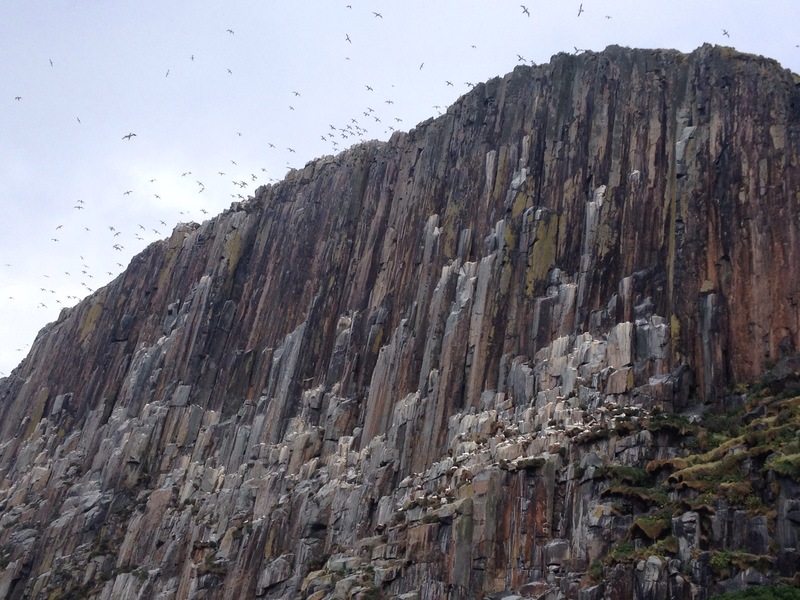 From where we sit, under the gannet colony, the rock rises precipitously from sharp grey boulders. 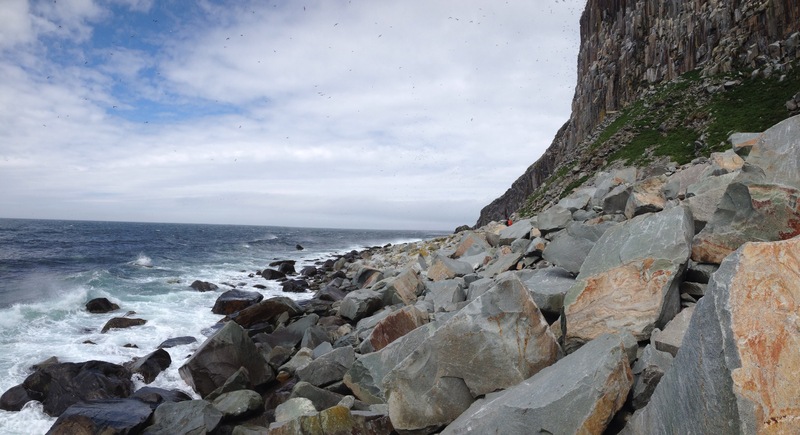 On every ledge a shining white gannet sits and, up at the cliff’s rim, hundreds of birds balancing on the wind sway, black wingtips almost touching each other, and the rock. They hang on invisible wires gently swaying while we are buffeted by the fierce winds and struggle to keep our balance on the boulders. Every now and again one dives down past us, heading out to sea and is gone. 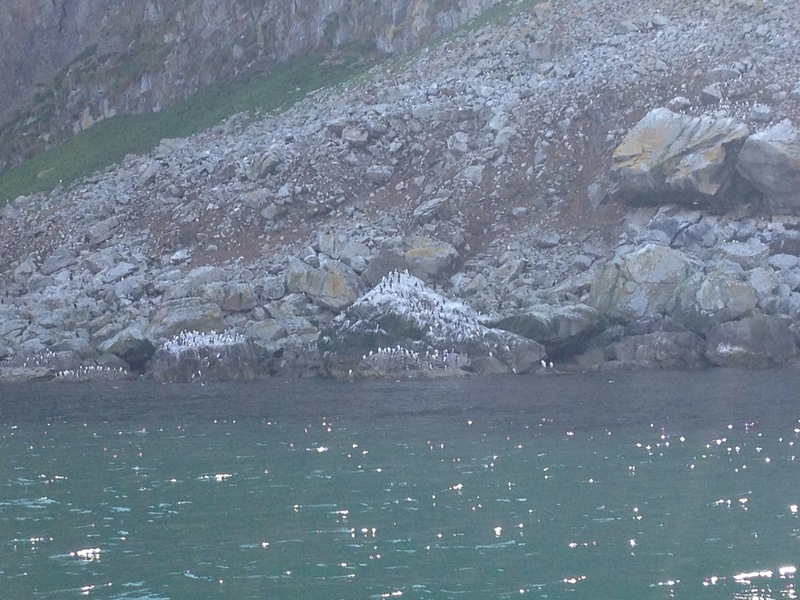 This entry was posted in Miscellaneous, Work and tagged Ailsa Craig, gannets, RSPB Scotland by nager. Bookmark the permalink.